A year of ideas for marketing your business via LinkedIn, Twitter, Facebook and more! This book not only gives practical suggestions but many of the tips also include clear instructions on how to implement them. 365 Social Media Tips gets down to the nuts and bolts of social media in short, concise, helpful tips - one for every day of the year! Karen James has run a successful virtual assistant business, Cloud VA, since 2004, providing administrative support to small businesses across the UK (and in France & Spain!). 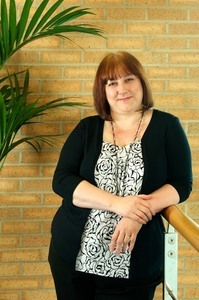 Karen spent 16 years as a Secretary before going back to college at the age of 32 to gain a Degree in Business Management and a Promotional Practice qualification from the Chartered Institute of Marketing. After three years as a Marketing Manager for a small pub chain, redundancy prompted her to look at self-employment and Cloud VA was born. Having built up a solid reputation as a virtual assistant it made sense to add social media marketing support to Cloud VA's services. She has helped many business owners set up their social media accounts, giving them practical advice in simple terms on a one-to-one basis and in a workshop setting. She also helps clients develop social media plans that integrate with their marketing strategy helping them to build brand awareness and generate leads online. Karen is passionate about giving small businesses the tools and knowledge they need to use social media as part of their promotional mix.